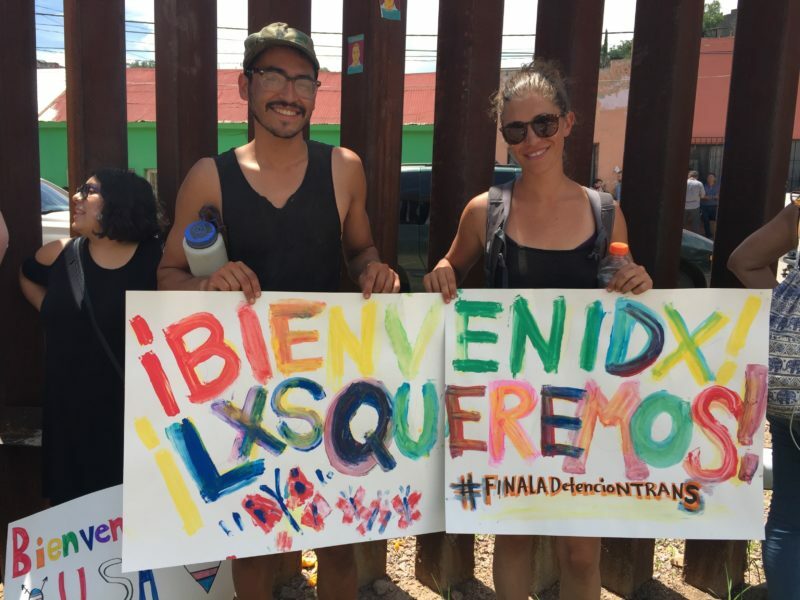 On August 10, a caravan of seventeen LGBTQI migrants presented themselves at the port of Nogales to claim their right of asylum in the United States. Five remain in detention and need your support. Five members of the Rainbow 17 remain in detention in New Mexico and are in dire need of contributions to their commissary accounts. 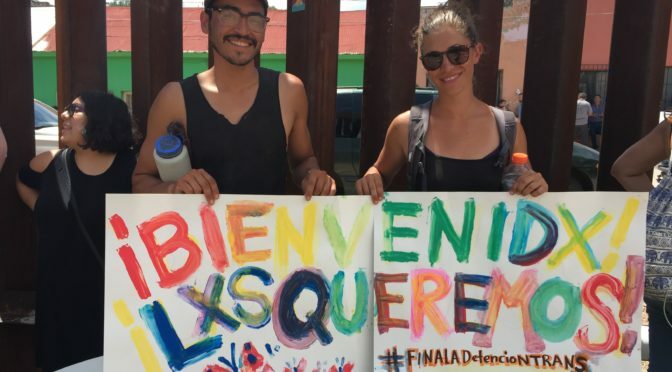 Fleeing persecution and violence in El Salvador, Mexico, Honduras, Guatemala, and Nicaragua, the “Rainbow 17” met in migrant shelters across Mexico and connected with Diversidad sin Fronteras, an LGBTQI activist collective, which helped organize the caravan. Caravan members are survivors of torture, extortion, trafficking, and attempted assassination, and they are determined to fight for their dignity and right to asylum in the US. Five members of the Rainbow 17 remain in immigration detention in New Mexico, despite strong cases for humanitarian parole. They are in dire need of contributions to their commissary accounts, to keep up morale and continue with their asylum processes from inside detention. The Rainbow 17 received legal support and solidarity from Mariposas sin Fronteras, the Transgender Law Center, the National Immigrant Justice Center, Family Trans Queer Liberation, the Institute for Women in Migration, the Kino Border Initiative, Instituto Legal, and No More Deaths’s Keep Tucson Together legal clinic. Follow their stories and get updates by connecting with Diversidad sin Fronteras on Facebook.